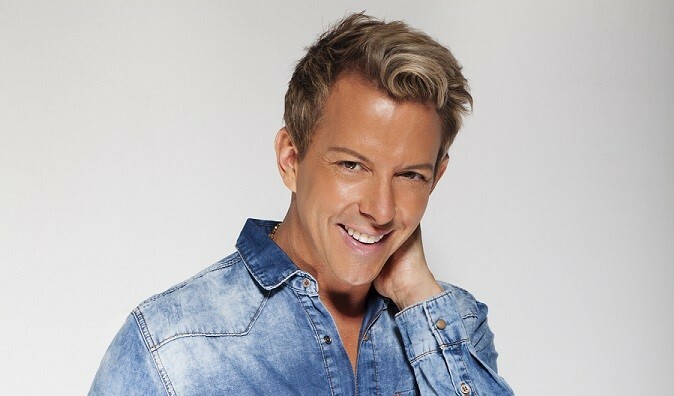 “Fabulous” hardly begins to describe Derek Warburton, a celebrity stylist, media personality, and master of all things fashion. He has dressed the likes of Beyoncé Knowles, Jessica Alba, and numerous Victoria’s Secret models. His love for New York City street style translates into the artistic chicness of his styles, and he has a keen eye for popular trends. Warburton has a slew of tips to offer to the everyday gal, including dressing for day-to-night or planning an outfit for an office party. In our exclusive interview, we chatted with the style guru about holiday fashion as well as fun looks and date ideas for the rest of the year! For starters, Warburton suggests two hot trends to consider working into your wardrobe this winter: “This year, it’s all about the faux fur. I’m really pushing faux fur because there are so many fun things you can do with it: It can look really fun and feminine on a girl. You can do a faux jacket or a fun accessory, and it just livens up your look. I’m also talking a lot about leather in multiple colors. A burgundy, forest, or even cream-colored leather can be really fun, especially in a skirt.” The trend-lover recommends the pleated accordion skirt as an addition to any winter wardrobe, reminding fashionistas with curvy body types to choose longer skirts and those with slimmer bodies to wear shorter ones. The tell-it-like-it-is fashion adviser gives some notable fashion dating advice for different holiday occasions. All of you office-chic stylistas out there, have no fear! “It’s all about the button-up shirt,” he says of transitioning an outfit from day to night. “If you’re wearing a big cardigan and a button-up during the day, a lacy bra is the hottest thing to wear underneath for day-to-night. Just unbutton the shirt a little when it’s time to go out.” Warburton also suggests chandelier earrings and colorful bangles as must-have accessories to compliment your nighttime look. If we weren’t already excited for holiday fashion, we sure are now! More of the style sage’s favorite looks can be found on his new website called Instafabulous.com, where top model’s Instagram posts will be shared and discussed. Furthermore, Warburton will be touring Texas, New Mexico, and Vegas, discussing the hottest trends for the holidays. You can get a glimpse of Derek’s favorite styles by liking him on www.facebook.com/derekfabulous/ and following him on Twitter @derekfabulous!